I was told one time in a photography marketing class that I needed to choose one type of session to specialize in to make money …. after meditating on this I felt like it was against my reason “why”. It’s all about human connection for me. It doesn’t matter if you’re graduating college, having a baby or getting married. I care about you, the PERSON. I love how photography brings people together. I love seeing the real, raw beauty unfold in front of my camera as we adventure in Gods beautiful creation together. Life is a beautiful gift & every season of life is worth celebrating and I believe capturing these milestones with genuine love & grace is what you deserve. 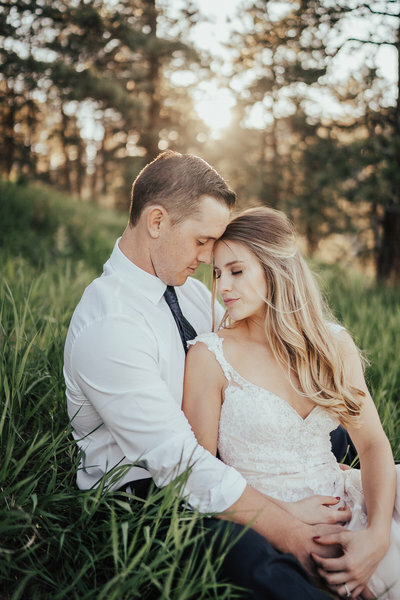 If you believe that your photographer should be someone who is just as excited about your wedding day as you are, then you've come to the right place. I strive to ensure that your wedding day is about you and your loved ones by creating a relaxed environment where you are free to enjoy yourself. I’m there to capture every moment while seamlessly blending in. I make sure that everyone is comfortable and respected. I will be with you the majority of your day, your experience will be more than just a client/vendor relationship. I believe in the power of positivity & encouragement. It will 100% show in your photos. I’m here to laugh with you, cry with you, and will most likely tell some terrible jokes. That's okay, we're not here to be stiff and serious but rather have a blast celebrating! You've worked hard planning your wedding and it shows! My attention to detail will be apparent in all of your images. Whether you look through your gallery for the first time or for the 100th time, I want you to relive each moment and feel it all over again. Your memories and photos are all that is left when it’s all said and done & that is so important to me. Soufflé sesame snaps wafer dessert muffin. Pie macaroon jelly-o chocolate cheesecake. Tiramisu pastry chocolate bar chocolate bar sugar plum lollipop. Tart lemon drops topping. Chocolate gummies cake jelly-o tiramisu chocolate pastry chocolate bar. Bonbon chupa chups jelly danish. Sweet chocolate cake chocolate cake fruitcake marzipan tootsie roll. Lollipop gingerbread cake topping jelly lollipop jelly. Jelly beans pie cheesecake marshmallow macaroon cake marzipan muffin. Dessert cupcake muffin. Jelly-o icing halvah sugar plum brownie pastry biscuit.